Display clear, fixed signage on collection containers and in recycling areas. Provide written information to new and existing tenants about the recycling program and its implementation. Periodically remind your tenants to recycle, particularly during the holiday season and anytime you make changes or improvements to the program. Make it convenient for tenants to recycle by placing a recycling container next to every dumpster or community trash receptacle. Monitor the program’s successes and problems so you know what works and what needs improving. An on-site recycling program not only helps the environment by keeping recyclables out of landfills, but it can also save you money on your rental community’s trash collection costs. Installing water-saving fixtures and appliances in your rental community can dramatically reduce the water consumption of tenants. According to the U.S. Environmental Protection Agency, high-efficiency faucets and shower heads can achieve water savings of up to 60 percent, without sacrificing performance. Many high-efficiency washing machines and dishwashers use only half as much water as older models, too. Toilets are the main source of water consumption in most homes, including rental properties. If all older toilets manufactured before 1992 were replaced with high-efficiency toilets, nearly two billion gallons of water per day could be saved across the United States. 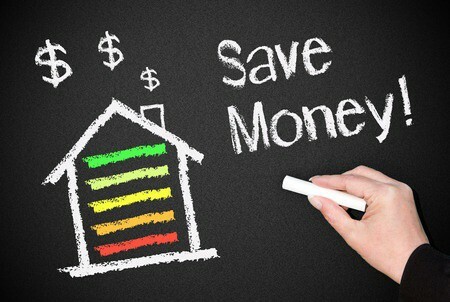 Besides being greener, you will also save money on water and sewer bills. Install programmable thermostats in rental units. Caulk or seal up window cracks and air leaks in units. Install energy-saving light fixtures that utilize LED technology. Install motion-sensor lights in outdoor common areas of your rental community. Regularly clean or replace HVAC air filters. Replace old doors and windows with energy-efficient models. Use Energy Star washers and dryers in your community’s laundry room. Some landlords never take the first steps to create a greener rental community because they fear they must shoulder the expense of replacing everything at once. Each small improvement you make to your rental property will add up over time. For example, if it is too cost-prohibitive to replace all your units’ windows this year, consider sealing them, instead. Going green doesn’t require you to take an “all-or-nothing” approach. Slowly replacing just a few older toilets or light fixtures at a time does save money on utility costs, as well as help protect the planet.